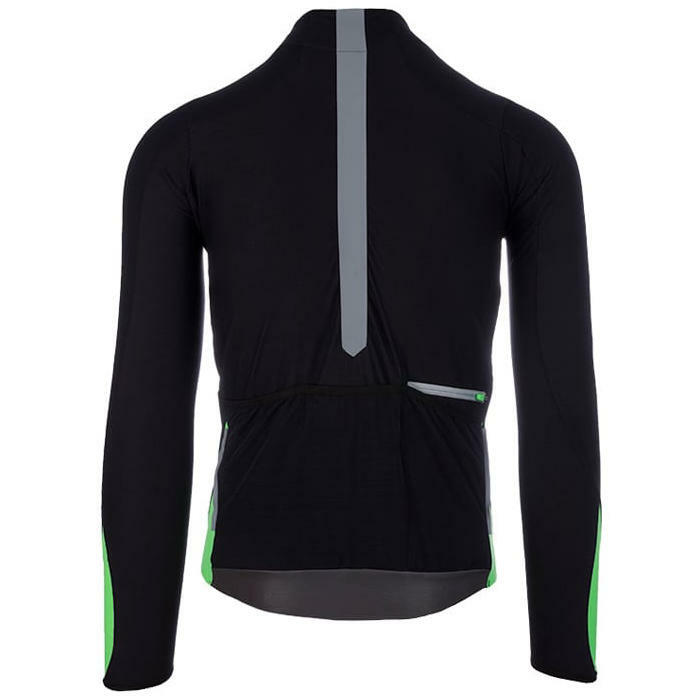 Lightweight, active insulation; the perfect middle layer for mid season conditions. 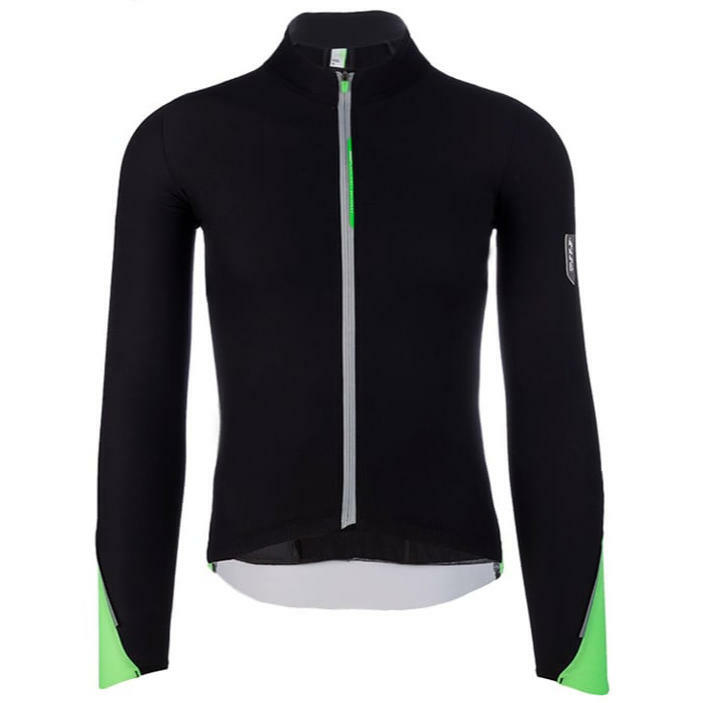 A long sleeve jersey weighing in at a mere 195g. 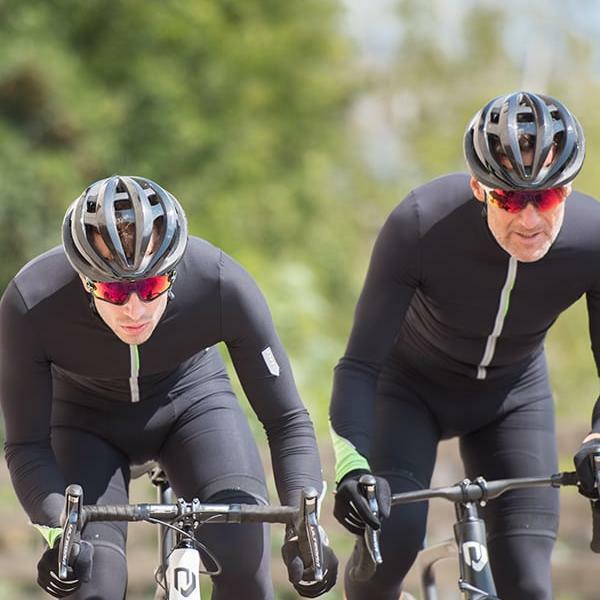 Our Essential design, devised for active training in autumn and spring conditions and temperatures ranging between 10°C to 16°C. A snug construction, soft to the touch, creates a new tactile sensory experience on your body: it is well fitted yet works without constriction and maintains a high level of mobility that follows your movements like a 'second skin'. 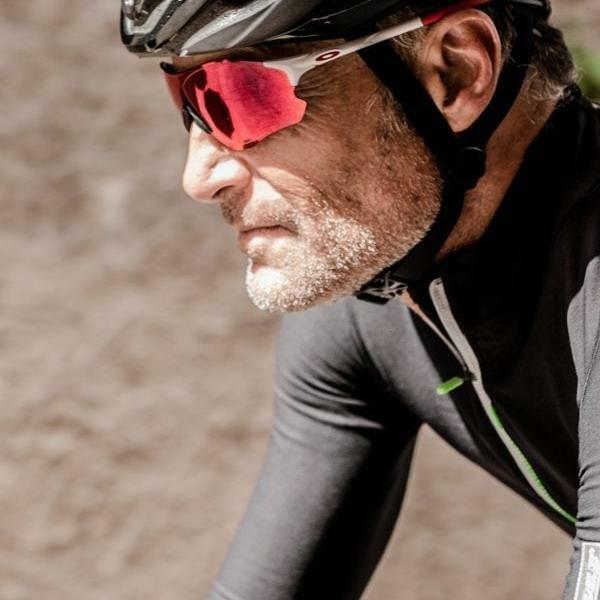 The jersey is made solely of our UF Active fabric, a newly developed woven fabric that combines super fine threads of polyamide and merino wool. 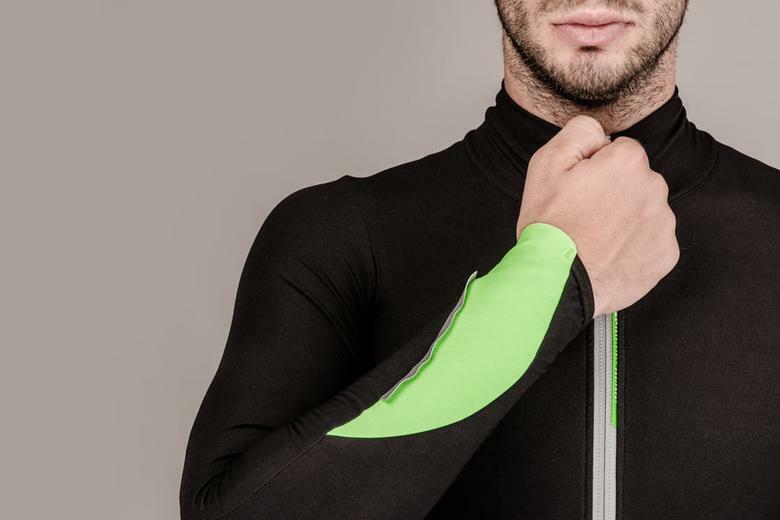 It offers an active thermoregulation that supports thermal comfort even when there are wide variations of intensity during a ride. 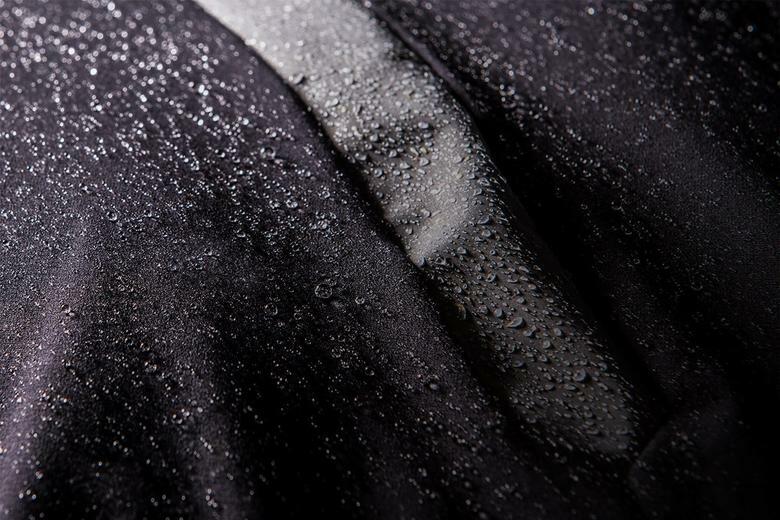 The clever allocation of the thread creates a double layered fabric: a dense polyamide external structure and an internal 'sponge' merino layer that absorbs humidity and works as a heat retainer, allowing for stable temperatures even when damp and in wet conditions thanks to the durable water repellent finishing. This is the ideal weapon to use to stay warm without adding extra weight.